Wisteria Lane, a very unique display of color introduced as a Chevron Wall Hanging, will add a splash of color to any Modern or Southwestern living décor as a Wall Hanging, Couch Throw, Table Topper or Bed Runner. 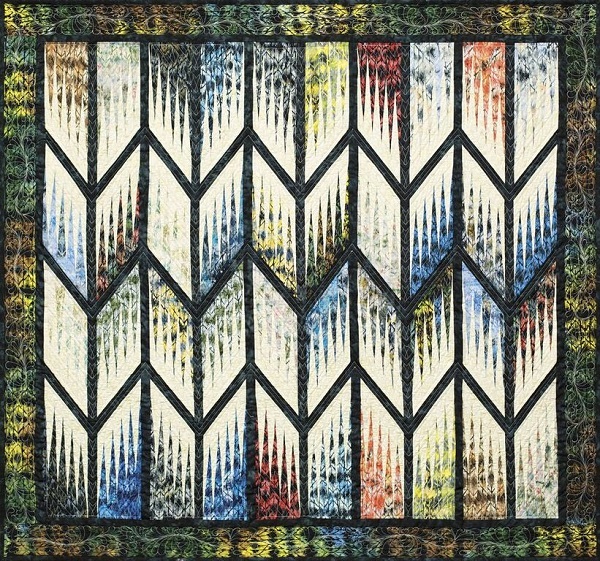 The pattern was designed using a design element originally designed by Judy and Brad Niemeyer, published as the Weeping Willow and Willow Bed Runner. These two quilts inspired the creation of a matching batik collection of fabrics designed by Judy and Judel Niemeyer, with Timeless Treasures. The fabric collection has been prepackaged as a 2-1/2” strip Tonga Treats Collection. 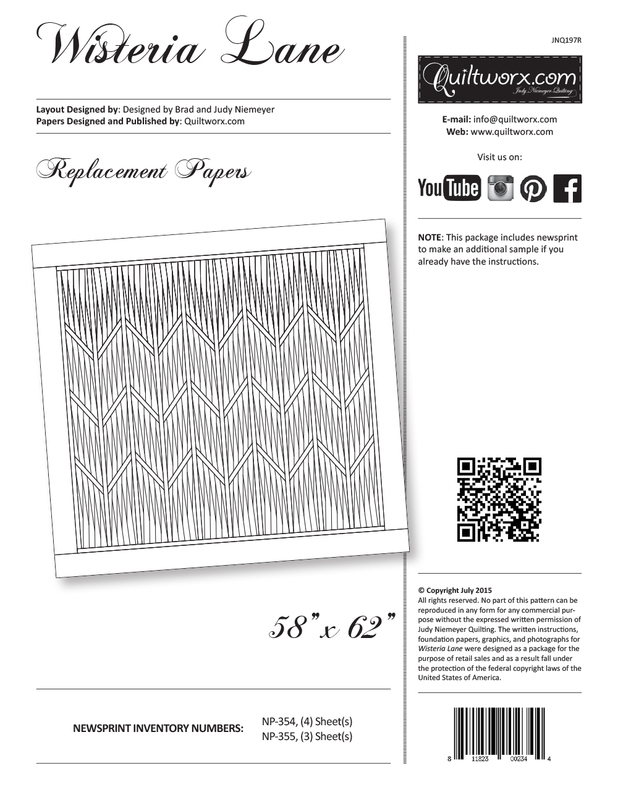 Additional accent pieces serving as border prints and/or a white on white background have been packaged for purchase as yardage as well. 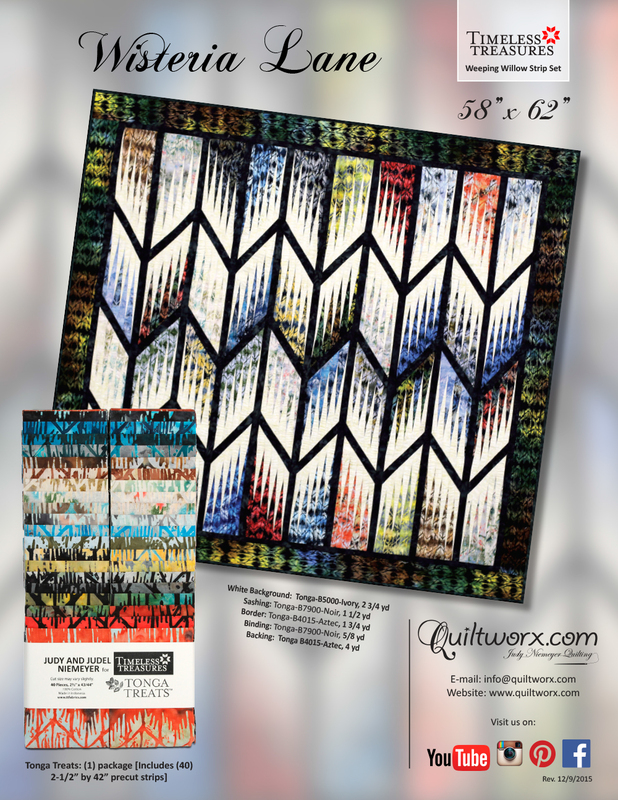 The pattern uses (1) package of (40) 2-1/2” strips and coordinating background and border fabrics using the same print. Paper piecing and traditional piecing techniques are required to assemble this quilt, which was designed with all skill levels in mind and can be completed in just a few days! Sorry, there are no classes scheduled for Wisteria Lane at this time.